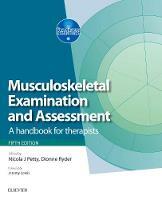 Read chapter 12: examination of the lumbar region, from page 327. You are not expected to learn combined movements or the McKenzie classification system, but feel free to read and absorb as much as you want. There will not be time to cover everything in your practical classes – remember that a lot of your learning will come from your practical placements. Please ensure you read this before any classes in Week 20.